HAVE YOU OR YOUR COMPANY BEEN AFFECTED BY THE RECENT FLOODING? WE UNDERSTAND AND WANT TO DO OUR PART TO HELP. 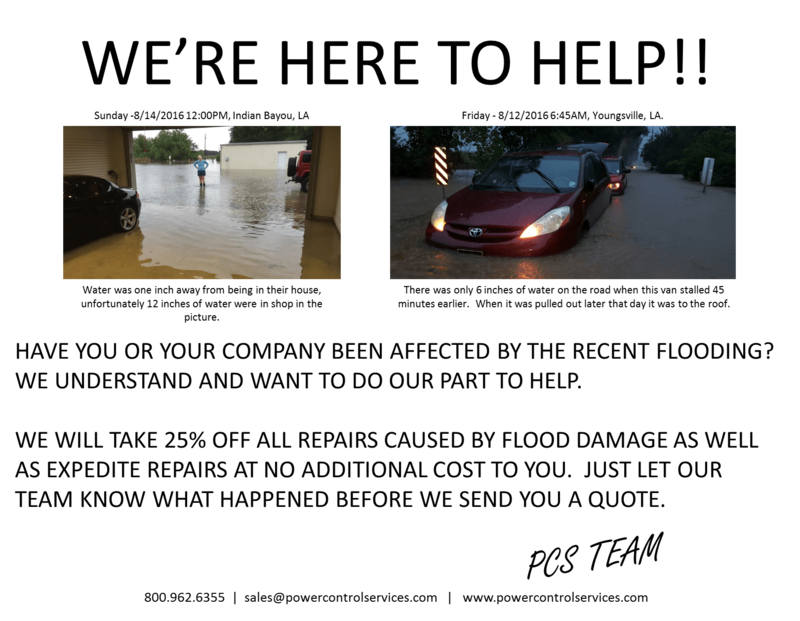 WE WILL TAKE 25% OFF ALL REPAIRS CAUSED BY FLOOD DAMAGE AS WELL AS EXPEDITE REPAIRS AT NO ADDITIONAL COST TO YOU. JUST LET OUR TEAM KNOW WHAT HAPPENED BEFORE WE SEND YOU A QUOTE.